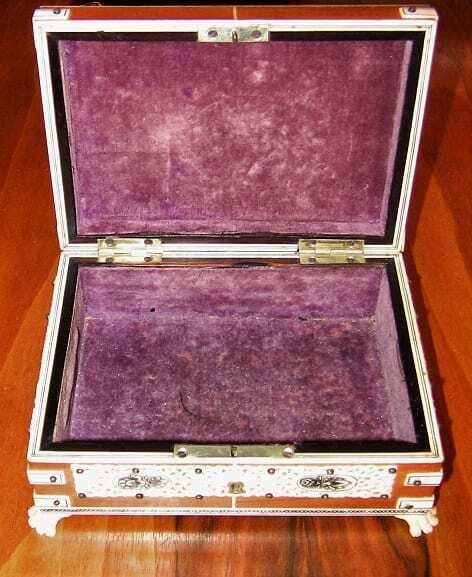 19C Anglo Indian Vizagapatam Casket Shaped Trinket Box. 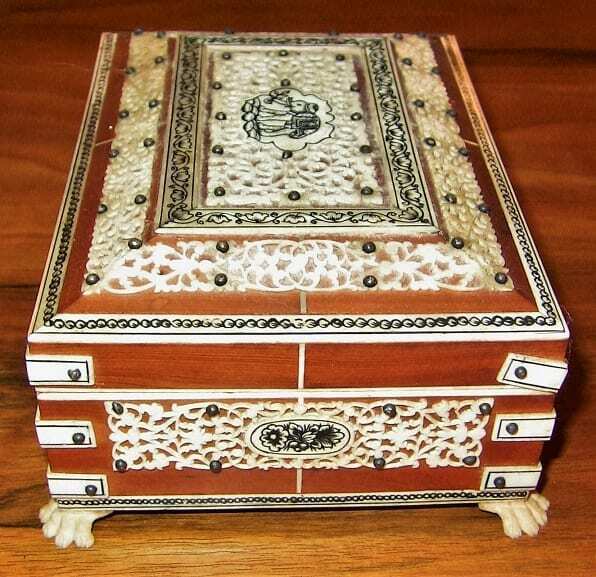 LOVELY little Anglo-Indian casket shaped trinket box from our LARGE Anglo-Indian Collection !! Made in Vizagapatam, India circa 1880. 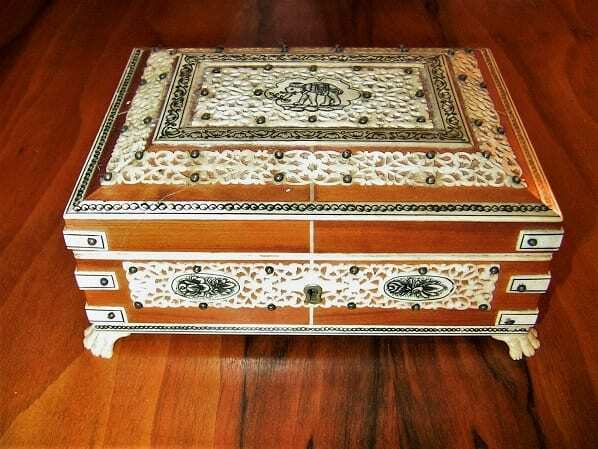 The box is made of sandalwood but banded and edged with faux ivory or bone. It has highly carved friezes or fretwork panels on all sides. The friezes are in floral patterns. 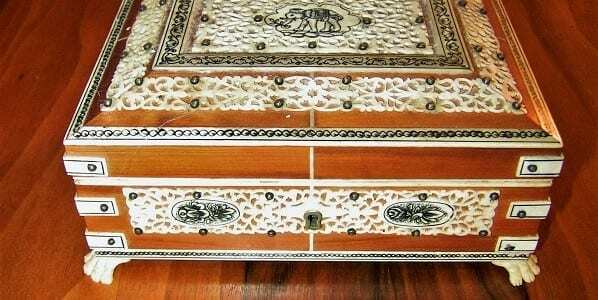 The lid has a central medallion featuring an elephant. The panel is hand-painted using an indelible black ink….known as lac. Th box sits on 4 carved bone lions paw feet.